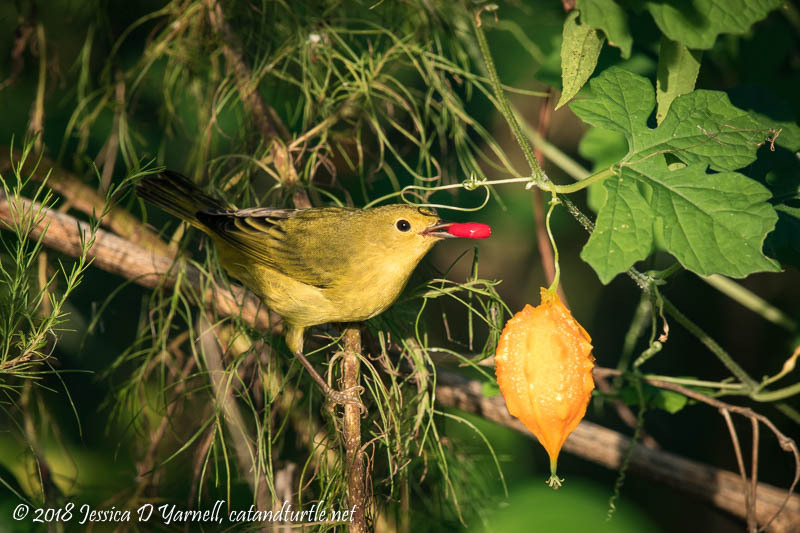 …while a third individual posed in the rays of the early morning sun. 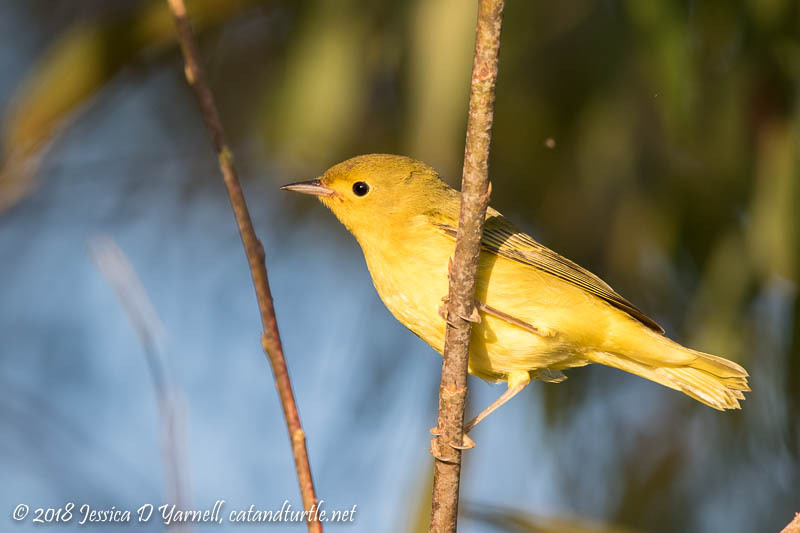 The Yellow Warblers were curious little things. This one hopped out right in front of me. 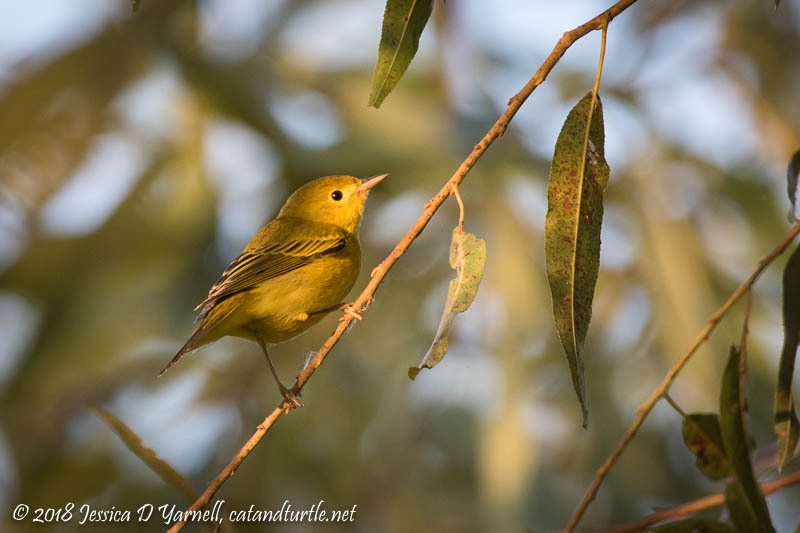 While the Yellow Warblers were the most numerous in the bunch, they certainly weren’t the only warblers in the flock. 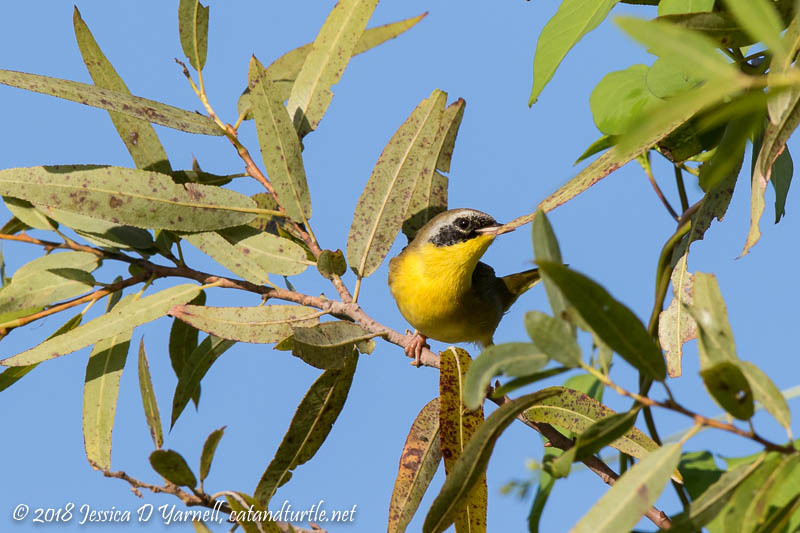 I saw several Common Yellowthroats, including male, female, and first-year males. 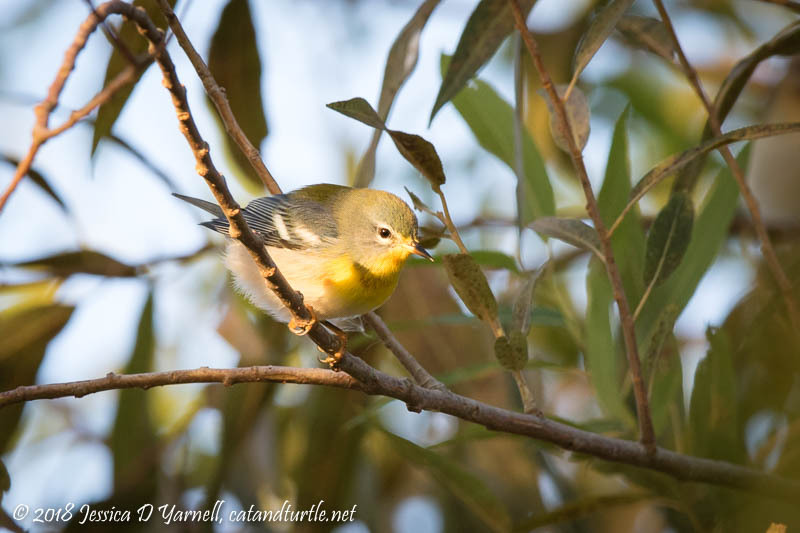 A tiny Northern Parula found a sunlit spot to pose for a few short seconds. 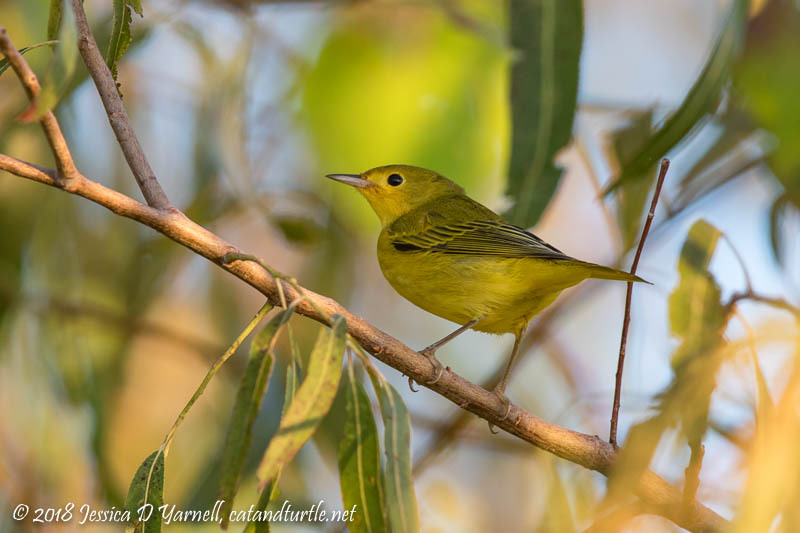 Warbler photography definitely tests the skill of the photographer in finding and tracking small moving objects! 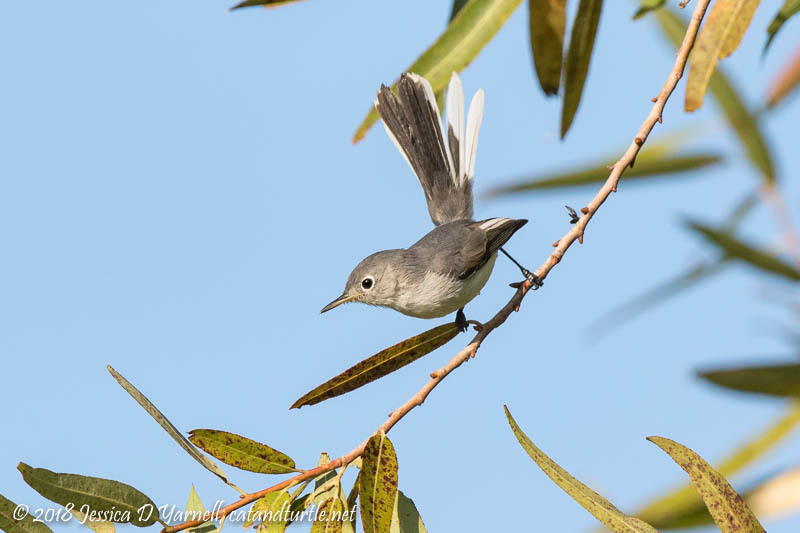 Blue-gray Gnatcatchers came and went, hovering like hummingbirds and darting between branches with the agility of a gymnast. I never get tired of watching these tiny clowns. 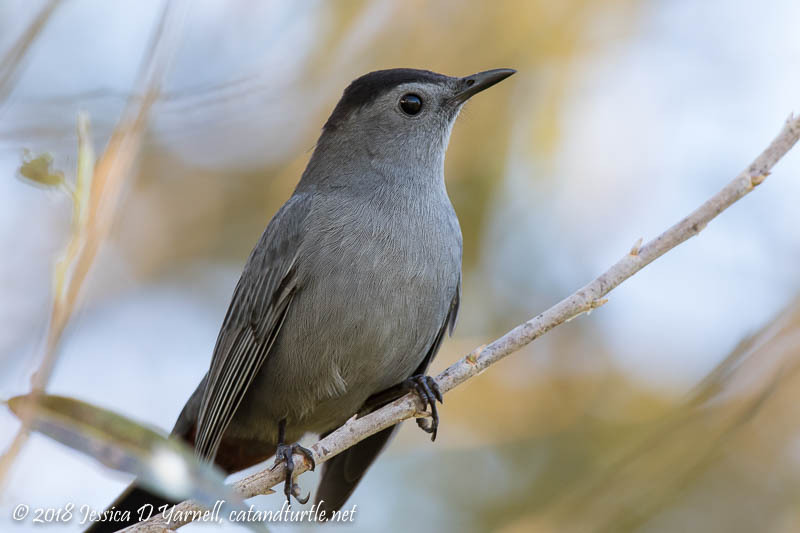 My gray cat Squirt was happy to hear of my first-of-fall Gray Catbird. Mrrow! Go home and feed Squirt! Mrrow! 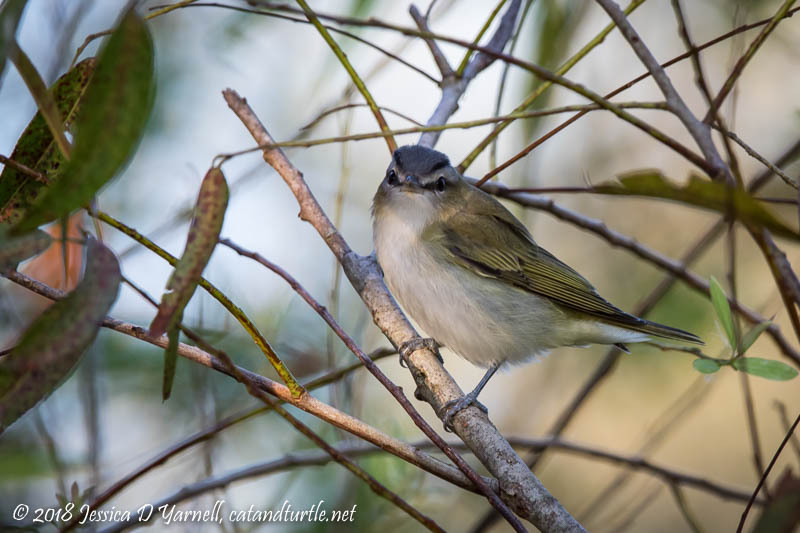 I only saw this Red-eyed Vireo for a few seconds, but I managed to get a few frames on him. I love how he turned and looked head-on at the camera. I’ve never seen his facial stripes looking straight at me before. 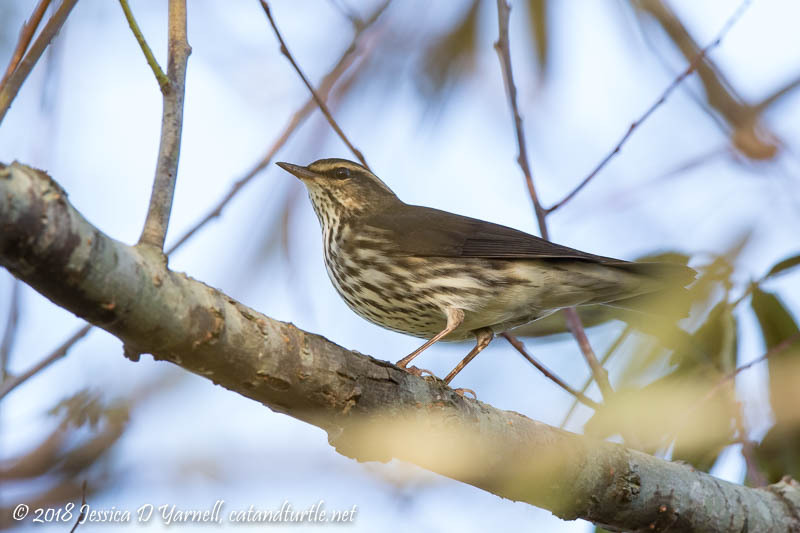 Possibly the “best bird” of the morning was a Northern Waterthrush. I heard him before I saw him, then I went poking into the underbrush, and he posed for me for a few seconds. I spent so long at the Crazy U that I didn’t linger at some of my other favorite places on the wildlife drive. The winter birds are definitely arriving. Blue-winged Teal mixed with the Fulvous Whistling-Ducks. I spotted a few Northern Shovelers. I hope the ducks come in good numbers this winter and hang out in the ponds with good morning sun angles. 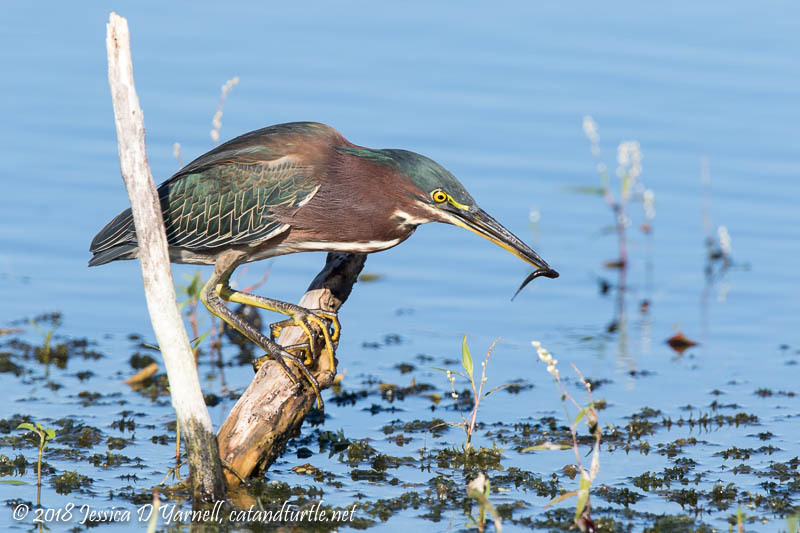 But until they get here, my last shot of the morning was a Green Heron enjoying a nice minnow. The birds asked where you were today. Hope to see you on the next visit!